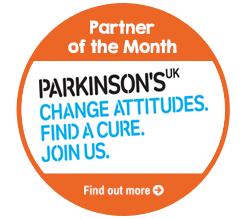 Parkinson's UK is the Parkinson's charity driving better care, treatments and quality of life. According to the NHS there are over 145,000 people in the UK living with Parkinson's, that's around 1 adult in every 350. Parkinson's UK is the charity that is there for every one of those people beyond diagnosis, and it's on a mission to change attitudes, support one another and find a cure. Your old car donation to this force of a charity will be channelled into one of its vital roles. Parkinson's UK is funding groundbreaking research to find new and better treatments - in years, not decades - and ultimately find a cure. In the meantime the charity is aware that people living with Parkinson's find life challenging, so funds are used to provide support and information so people feel more in control of their lives. Another key part of the charity's work and where your car donation may be used is to change attitudes and raise awareness. A more 'Parkinson's friendly' society that is understanding and meeting the needs of everyone living with the condition will make a huge difference to people's lives. Parkinson's UK says that the right care at the right time is vital, but access to high quality and consistent services varies greatly across the UK. The charity is working towards some big goals for 2020 including making high quality care standard across the country, at every stage of the condition. Two new promising treatments for Parkinson's are due to be tested in UK clinical trials and the improved drugs and treatments being developed will get to people faster. Your old car could help make this progress. Funds are also being used to ensure all professionals involved in Parkinson's care share best practice and access the right tools and training. And while all this progress is being made, Parkinson's UK has 450 groups uniting local communities across the UK supporting people at all stages of the condition and welcoming family members and carers. By donating your car to Parkinson's UK with Charity Car you can help bring forward the day when no one fears Parkinson's.